Add a 10.2-inch screen for everyone in the second and second row to stream a movie for long trips from Madison, MS.
Keep an eye on the little ones or make an announcement through wireless headphones connected to your rear speaker system. Connect smart devices to a high-speed wireless internet connection provided by an AT&T data plan for entertainment streaming or work on the go. Leather and heating options are available as well as endless configurations to accommodate luggage, extra cargo, and/or multiple passengers. 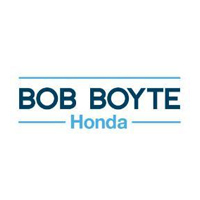 Explore the Honda Odyssey interior at Bob Boyte Honda, serving the greater Jackson, MS area. Apply for financing, then contact us to make an appointment to visit our showroom and take the Honda Odyssey for a test drive.